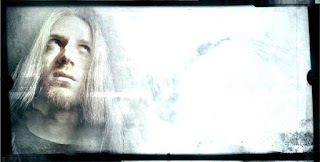 Mirrorthrone is a one man Symphonic/Avant-garde Black Metal band from Switzerland, formed in June 2000. The band has released three critically acclaimed albums to date, and another might see the light of the day in summer 2016. Our representative recently caught up with the sole member, Vladimir Cochet, who talked about the next Mirrorthrone release and his side-projects as well. 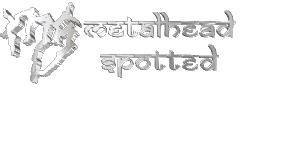 Metalhead Spotted:: Vladimir, thanks for your time, we at MS really appreciate it. How've you been? Vlad: Thanks a lot to you and MS for your interest. I am doing well, a bit busy, but well. I hope all is fine for you too. Metalhead Spotted:: All good here! First of all, I'd like to ask something which the fans are dying to know. 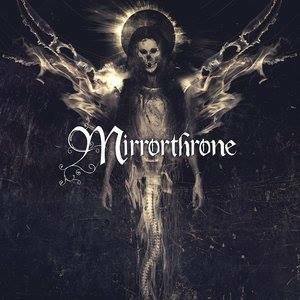 How close is the new Mirrorthrone from completion? And when can the world witness the grand release? Vlad: I wish I could reply. A lot of work has been put into the album already, and actually not a lot is needed to finish it. But I couldn't find the time so far, unfortunately. All the music has been recorded and mixed, and 20% of the vocals are done. I only need to finish those. The mix is nearly done too. I have no idea when I will be able to finish this, so I cannot be more precise about the release date. Metalhead Spotted: So, do your other projects have a hand in the delay or is it something beyond your control? Vlad: No, my other projects have little to no influence on that delay. I have a pretty busy work life, and it is taking all my time. Metalhead Spotted: What is the album about and what does it mean to you? Will we see some new issues brought up through this album? Vlad: I guess people who enjoyed previous Mirrorthrone releases will find a common ground with this next release: orchestral and evolving tracks, alternating ultra fast blast beats and more ambient parts. The aim is always to develop worlds, and not just play a few riffs. Among the evolutions, I would say that the most significant one is the care: I spent much more time composing, arranging and recording it. The playing has been quite improved, so everything will be much tighter. I also worked on different ambiances sometimes, when aren't all as dark as previously. I searched for depth in different areas. There is no main lyrical theme, the songs switch from one to another as in the previous releases. Although intersubjectivity may have become a bit more present than before. Metalhead Spotted:What would be some of your major influences? For this album, as well as on your musical career? How were you introduced to this, then considerably underground, genre? Vlad: I am pretty open-minded when it comes to music. Even in crappy commercial music, there is something that deserves attention. Maybe it is only the way a kick drum is produced. So I can listen to albums I don't really enjoy only because I am interested in some side of it. I am a bit more selective when it comes to metal, though. This kind of music has to talk to your soul. If it doesn't sound pure, if you suspect that the musicians don't play with their heart, it won't work - for me, at least. As a kid, I was always interested in discovering more extreme music. Metal came quite naturally. I started with the classics of Rock and Heavy metal, and then quickly switched to Black and Death Metal. I discovered most of that alone, more or less by chance. I felt such energy when listening to Metal that I quickly wanted to reproduce it. And this is how all this started. Metalhead Spotted: So, has the thought process for your albums constantly evolved with time? And, if there was one band you had to say which influenced you the most, which band would that be? Vlad: I guess so, yes. I don't look at composition the way I did 10 years ago. I don't look exactly for the same things, and try to avoid some phrases that I would have used before. I guess the whole thing is maturing with time. I think that in Metal, the bands that had a big influence on me were Emperor and Abigor. Metalhead Spotted:They're two of my favourite bands. Were there any artists who influenced you, outside of metal? Those are probably the artists I played the most those last 20 years. Metalhead Spotted: Wow! And your eclectic taste really shows on your projects! Deafening Loneliness, the dark electo ambient project, BM awesomeness Unholy Matrimony, Accurst Journey's unconventional doom sound, how much do these affect the writing of Mirrorthrone and Weeping Birth albums? And, when is the new WB dropping!? Vlad: Yes, I am always curious to try new things, musically. I don't know if that affects my other main projects, like Mirrorthrone or Weeping Birth. It has been a while since I last had the time to experiment outside those, though. I guess I use them to experiment, actually. I am not allowed yet to communicate the release date, but it will be this year. Metalhead Spotted: That's good enough, I must say, I was expecting a similar reply. Let's talk about the instruments for a bit. Have you programmed the drums this time as well? And where do you find inspiration for your riffs? Personally, it really resonates with your lyrical themes and the atmosphere. Vlad: Yes, the drums are programmed. I thought of maybe hiring a drummer for it, but I have so little time that it would have delayed the release and I think it has been long enough already. I have no idea where the inspiration comes from. It is there at some point, and I use what comes. It flows by itself, really. The lyrics are probably connected since I am in the same mood when I write music or texts. Metalhead Spotted: So the "hate against the race", misanthropy, etc. is something you actually harbour in your thoughts and emotions? Vlad: I probably express those in my songs. The border between misanthropy and philanthropy is tenuous. Disappointment and frustration will turn a lover into a hater. I can't stand when a potential is not used, it is a real disaster. Hence my harsh words. Metalhead Spotted: I think we all can relate, to an extent. Metalhead Spotted: Among the new BM bands, which do you think are promising? And some, which in your opinion, need more exposure? Vlad: I must confess not listening to new BM bands. I only played my old albums those last few years. I don't think Black Metal needs exposure. People who like it know where to find it. To me, it is sufficient. Metalhead Spotted: Opinions on the following bands? Dissection, Judas Iscariot, Emperor, Cattle Decapitation and Cryptopsy. Vlad: I absolutely love Emperor and Dissection. Maybe not all their albums, but at least most of them. I still listen to them often. I can clearly enjoy some Cryptopsy, I loved their sick drumming back in the days. I have been a bit disappointed by And Then You'll Beg and I don't know what they did after. I have had my Judas Iscariot period. I still quite enjoy To Embrace the Corpses Bleeding. I have never really listened to Cattle Decapitation for no particular reason. They sound like a great band, though. Metalhead Spotted: Do you have any advice for the new BM bands? Or new metal bands in general? In context of writing music and production. Vlad: There are many metal bands. You have to know why you play, if it is to do the same thing that everyone does or if you have anything special to transmit. If you do, work hard on everything. Come up with new ideas, don't make a copy paste of what has been heard thousands of times. Work hard on your instrument, play on the click, be as clean and tight as you can, practice everyday. Metalhead Spotted: One final question, will we ever, ever see Mirrorthrone live? Like on an album anniversary or a similar occasion? Vlad: You never know, but most probably not. I am not a live guy, either on stage or in the crowd. Music is too intimate for me to be experienced that way. But again, things could change. Metalhead Spotted: I for one will love to see that change. Best wishes on your projects, hope we will see you play live one day. Thanks for your precious time. I'll let you conclude. Vlad: Many thanks to you for your time and for your hard work for the musical scene. Thanks to the readers of this interview, I hope you will enjoy what is about the be released. In the matter of extreme musical soundscapes though today the underground is full of newcomers who bring enthusiasm and fresh ideas but still old school bands are full of reverence.Those bands create a music that can be different from others and bring to them a unique identity and indeed Tharaphita proved it. After seven year since the recording of their last sonic assailment Estonia based pagan black metal band Tharaphita released their Eighth full length album In the middle of 2014 consist with 8 tracks via Vaarang Records . Actually their band name “Tharaphita” is collected from Estonian god of thunder. Basically they was formed in 1993 as “Ancestral Damnation”consist with a bunch of talented, well skilled musician.Later they’ve changed their band name Tharaphita from 1995. At first when I was spinning this whole album I was literally astounded and this band infused me. 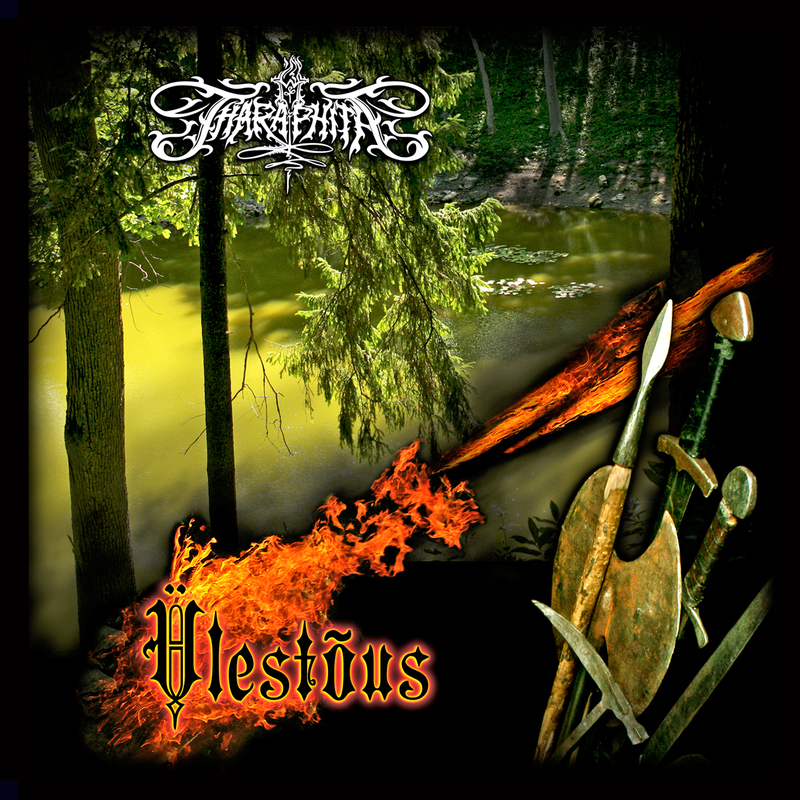 This whole album easily hooked me up with it’s vocals blackened rasps ,screaming voice and their deep, critical acclaimed ,unrelenting, disparate,enigmatic black metal musical style with crushing, chugging,galloping riffs works, well crafted, distinct content and builds layers of energetic,rhythmic musical style through high reverb and fast, medium and often slow tempo.The most astounding thing is being an pagan black metal band they have not used any traditional folk instrument . They have endeavored an brilliant effort on this album and nailed it. This album contains a strong dose of black metal ,with unsettling piece of sinister euphoria and unearthly ambiance. Their whole composition and musical style reflects the grand diversity of sound brought together on this album. Their efforts whole ambiance and compositions are brilliant . Their distinct style enthralled me totally . Despite the often fast ,furious, cacophonous, heavy form of black metal assaults with a lots of intricate riffs work ,solos enriched this album that is very powerful, heavy and brilliant all at the same time along with a good balance of black metal, melody with strangulated ,intricate, dark –eerie riffs work and those effective rasps simultaneously .This album just blew me away with their ethereal abyss, heavy, the multi-layered black metal musical style . I applaud this album. Well, This album is filled with a plenty of cadence, apocalyptic, ominous, hellish,chaotic ,powerful ,dark – eerie riffs work . As well bass line up is whopping, Intense, strong ,rumbling . Drumming, percussion line up is bleak, frantic, solid and powerful . In each track dismal, delicious, macabre, spiral riffs ,bass lineups correlated in well manner . Every inch of this is album crammed with jaw dropping moments, breathtaking riffs, bass work .Tempo changes are excellent, complicated and fast . This album indulge strong songwriting and brilliant musicianship . vocals howling scream, snarls, blackened rasps, high pitch screams , vicious voice emerged on this album in a well manner and intertwined perfectly with their obtuse, bizarrely arrogant, mid-paced, evil melodic, dismal ,utterly merciless, cacophonous uncanny black metal sound and embedded perfectly . Overall you will get energetic,pagan battle ambient from this whole album seamlessly . Each song have an energy, fluency and dominating power. Stand out tracks are all of them. I personally cherish opening track “Ülestõus” . Artwork is atrocious and portrayed pagan battle vibe. This album is Impeccable , prestigious , rich, intense ,significant . In this whole album you never found repetitive sound.Already it’s 2015 and I am reviewing their album now.almost it’s after one year because I have found them lately. From now I will wait for their next Full length album . Hope their next Full length album would be excellent as this one or way more superior .Definitely expect from them upcoming full length album very soon .Their potential on this debut album is appreciable . This is strongly recommend to add it in your collection. I am pleased to say that Tharaphita’s last addition strides infinitely higher due to it’s strong content, complex,ancient history, Paganism based theme, musical style. I am pretty damn sure Tharaphita can continue their stride in the future. My rating : 4/5 . Review done by Souvik Basu.